Mogudes | Super Jam (Black and White)! | 15-02-2019. Swing Maniacs. Swing a Barcelona. Aprèn a ballar SWING! Lindy Hop, Charleston, Jazz Steps, Balboa, Blues. Super Jam (Black and White)! 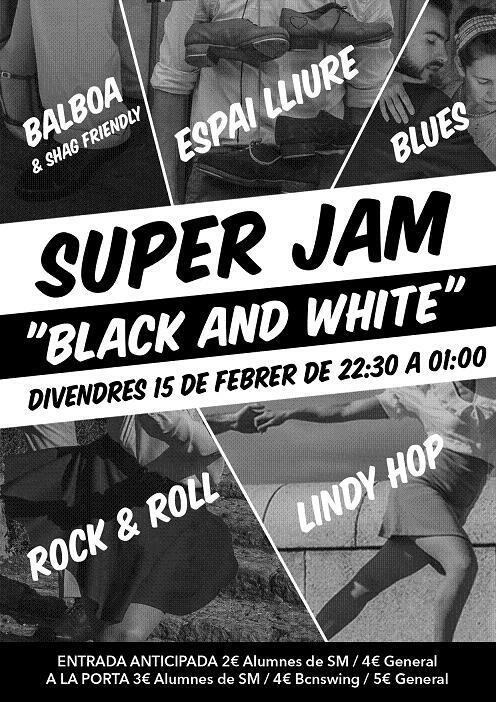 Jam especial on hi haurà diferents sales per ballar Lindy Hop, Balboa, Blues, Shag, Claqué i Rock and Roll!